As promised, I spent a big part of the weekend planting the fall things and ripping up the summer things. Tomatoes and beans are now composting, and kale/beet/radish/broccoli/cabbage are in the ground. Fingers crossed we get something edible. I’m already planning next spring’s garden. Breakfast – A friend at work keeps chickens, and she brought me a gift of a dozen free range eggs! I was so thrilled, because happy healthy free range chickens make the best eggs. 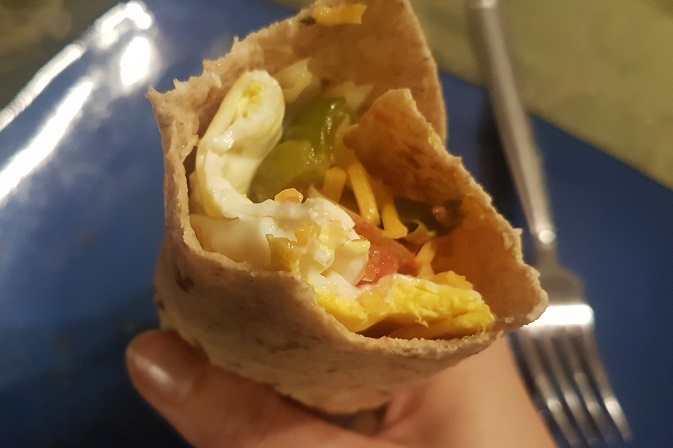 I had a tasty breakfast burrito with bell peppers and onions and hot sauce and eggs and cheese. Nomnom. 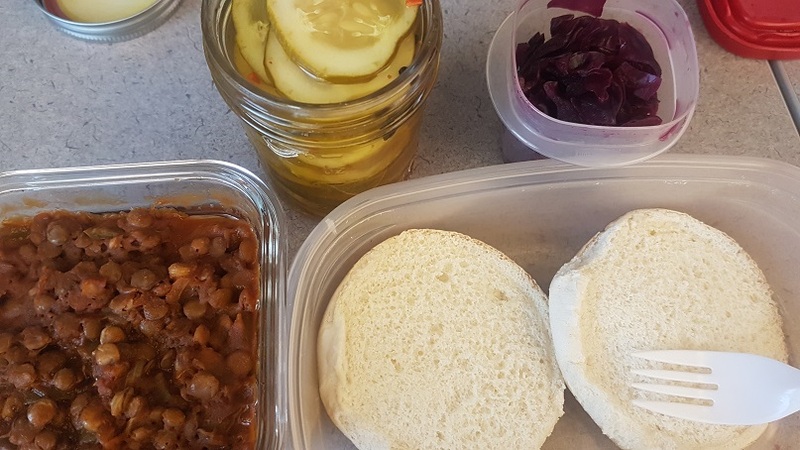 Lunch – Leftover lentil sloppy joes! Not mad about it. Oh and I also have a jar of homemade apple cider vinegar that’s finally getting going! It’s a great way to use apple cores and peels and scraps. Just fill a jar 2/3, cover with water. Add about 1 tbsp sugar per cup of water needed, and cover. That’s it. Let it sit in a dark place for 2 weeks, strain, and let it sit again until tart enough. 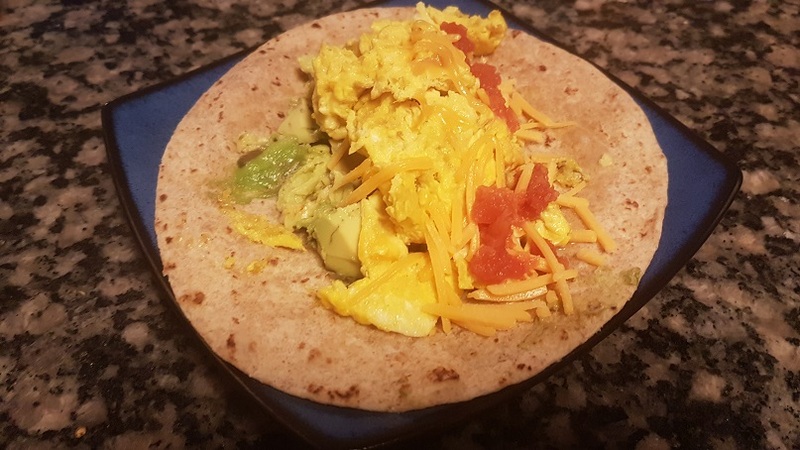 Breakfast – Another breakfast burrito! 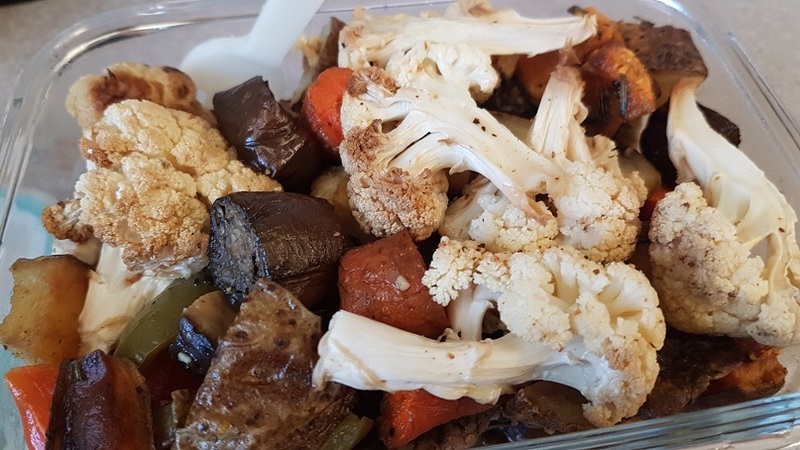 Dinner – Ya’ll! Remember how when I went home for a wedding shower, I ended up coming home with a pressure cooker my mom didn’t want? I finally used it! 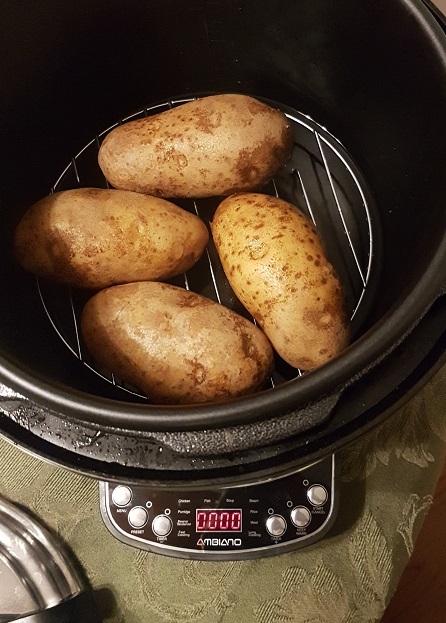 My first item: baked potatoes. The good news is, it didn’t blow up! 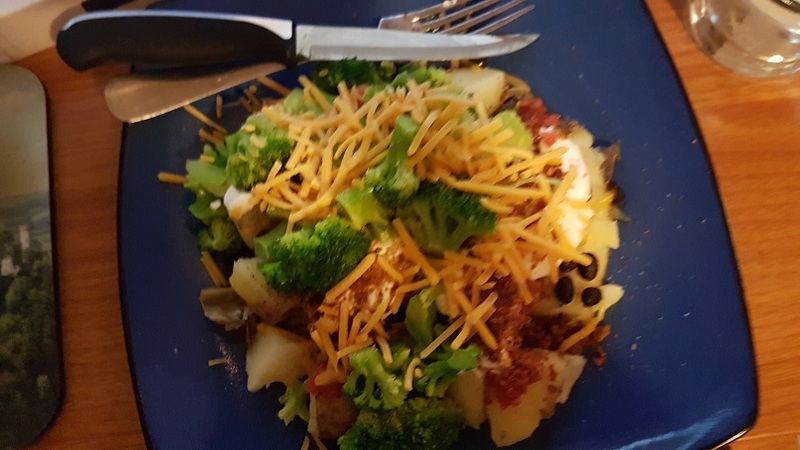 The better news is, it steamed perfect soft potatoes in 15 minutes. These things are pretty legit. And WAY less energy used than an oven at 350 for an hour. Breakfast – At the grocery store, I found an insane sale on smoked rainbow trout (like 75% off). Given my love of smoked salmon, I figured it might be similar. 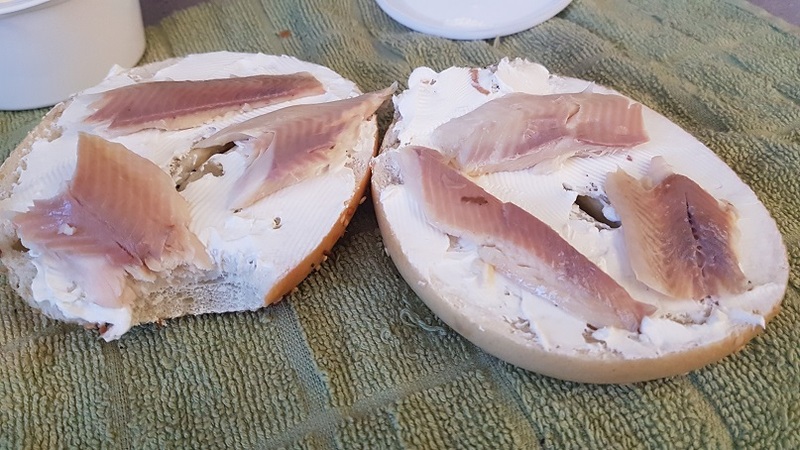 So I got it, because luckily for me someone brought leftover Panera, and I nabbed an everything bagel with cream cheese, the perfect lox canvas. 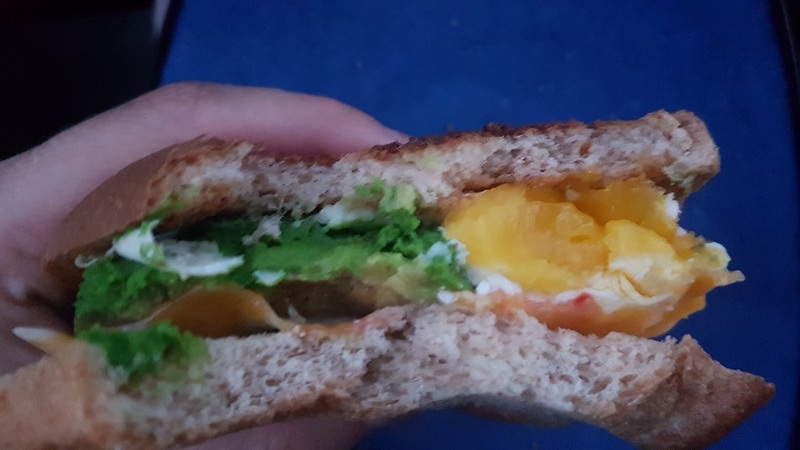 Turns out, definitely not the same as salmon. But pretty good. 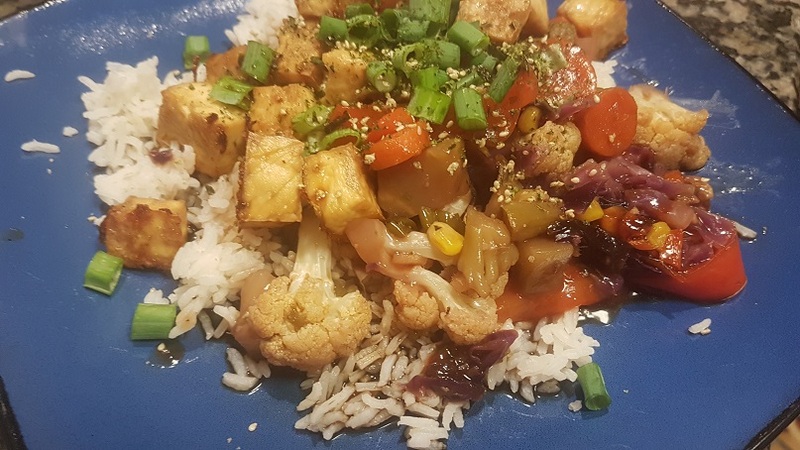 Dinner – My second experience with the pressure cooker. 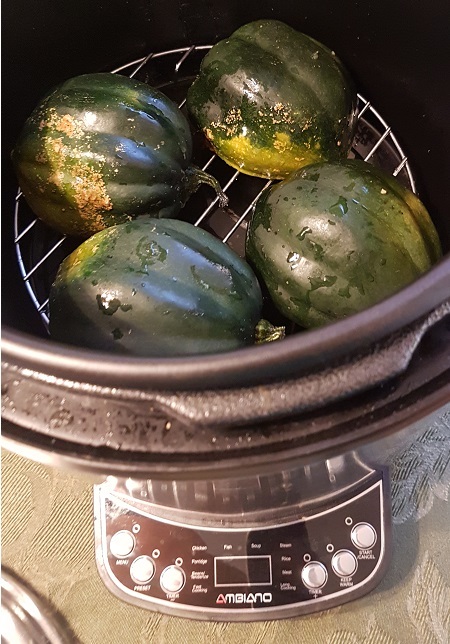 Some tiny acorn squash that came with my Produce Box. 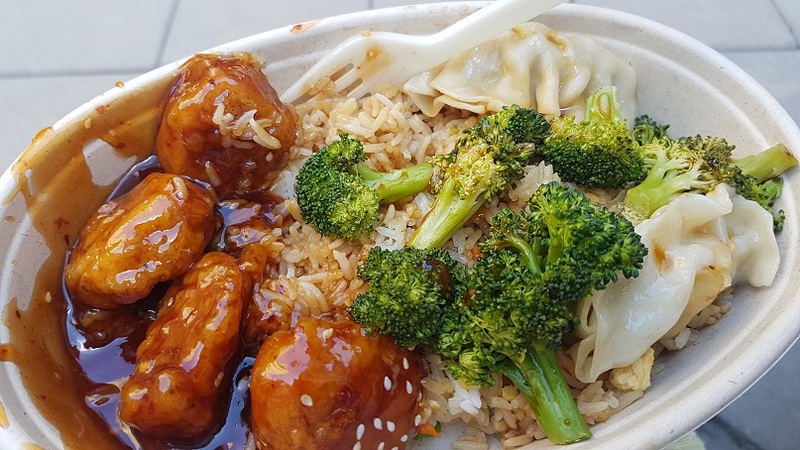 Took 15 minutes yet again, perfectly fork-tender. 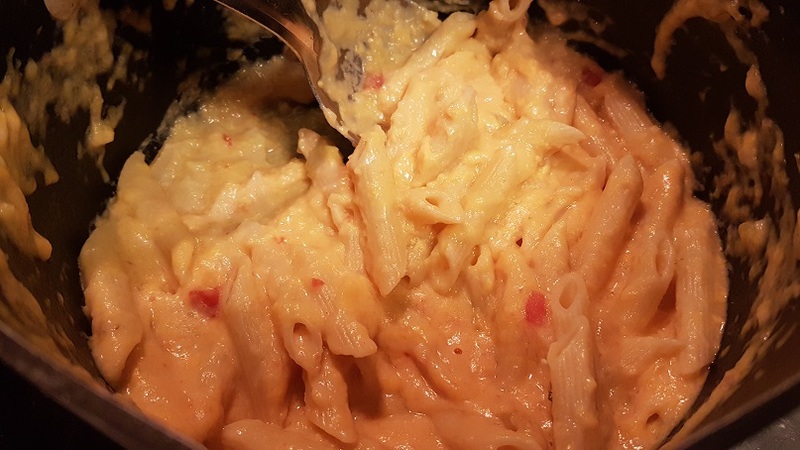 They got whipped into a creamy cheese sauce for acorn squash mac n cheese. 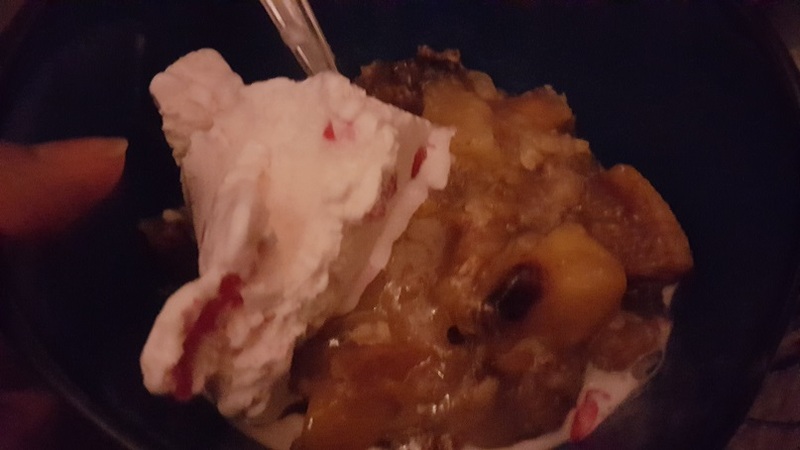 Dessert – Wooo what a crazy week, out for lunch twice AND dessert on Friday! 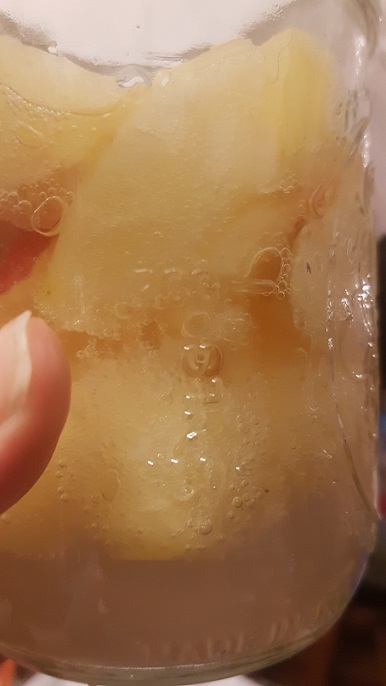 I had 2 peaches that desperately needed used up, so I cut them into a bowl with an also-near-death banana and some frozen pineapple. Topped it with some butter/brown sugar (crack) and granola, then I microwaved it for about 8 minutes and bam. Instant sweet tooth satisfaction. Saturday is a busy day! My pal Steveonomics is in town, his company is trying to convince him to move here. And so am I. 🙂 Then I have a downtown Food Tour afterwards. So definitely getting my steps in! Then Sunday is the opposite, no plans whatsoever. Well, just getting down the Halloween decorations from the attic, because you know I’m having a party! Gotta brainstorm a good costume. Uhhh… oops. I swear I went to the store with a list in hand… and then there were just a lot of good sales. At least most of the things I got were staples and fruits & veggies. The canned goods will stay for a long time, and we were down to almost nothing on rice. 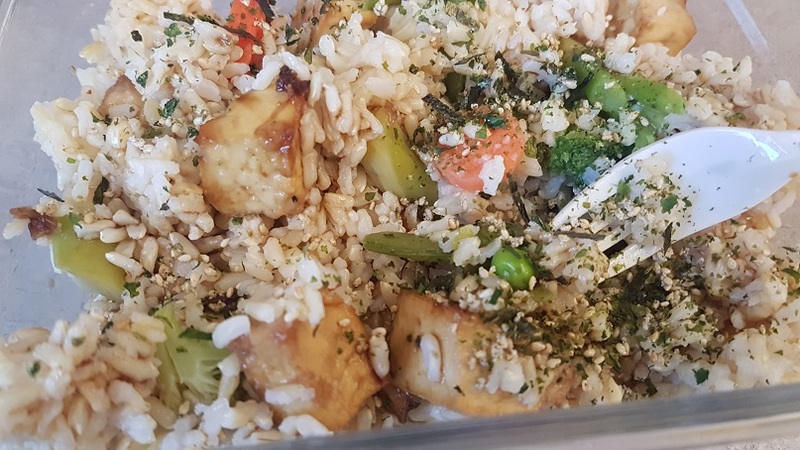 We had like 3 rice based meals this week, and burritos are a main way the boy stays alive, so running out of rice would be a disaster. Ugh guys. I need to admit that I am not doing as great with Zero Waste as I’d hoped. But this blog is supposed to be safe space though right? How do I get better? My biggest issues continue to be cheese (sliced and shredded) and anything frozen. The boy is the main cheese consumer, and he will definitely not shred or slice his own, I’ve tried buying blocks before and they just get moldy. And I’m not that much of a saint to do it for him weekly. As I’ve mentioned in previous posts, I enjoy everything about canning. It is an easy way to save extra seasonal produce before it spoils. It keeps for a very long time with proper storage, so you can be sure you always have food available. It looks pretty on your pantry shelves. It teaches self-sufficiency. And assuming you keep it up all your life and re-use the jars, it can be extremely frugal! Combine a very frugal hobby/life skill with one of the most frugal foods on the planet, beans, and you have a very happy budget epicurean! Canned beans at my store typically run 50-90 cents for store brand to over $2 per can for fancy organics. When you buy dried beans in bulk, and re-use cans over the years, you can easily get the price per can down to mere pennies. I love having canned beans in my pantry so I can whip up a quick chili, tortilla soup, or refried beans for tacos or tostadas without having to pre-soak for hours. Though some sources say that not only is pre-soaking not required, but it actually hurts the taste and quality of the final product. 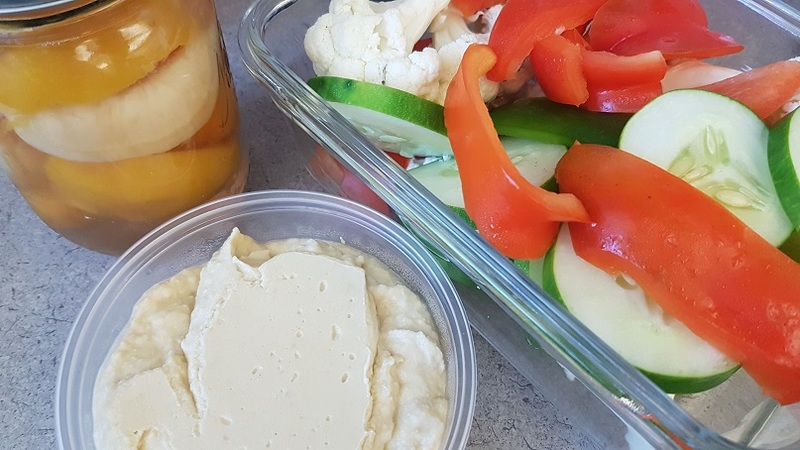 Most vegetables or fruits are safe to can and store. Typically you need to add sugar (for fruit) or acids like vinegar (for vegetables) in order to ensure their shelf-safety. But are beans safe to can at home? And there is also debate over the worthiness of canning beans, since dried take up much less space. But you can’t beat ready-to-go cans for last minute recipes. Most resources say a pressure canner is an absolute must to kill everything. No one wants botulism. The pressure canner causes high heat and pressure much higher than could normally be achieved inside the canner. This is the only sure way to kill spores, which are able to resist the heat of normal boiling water. However, what can one do if you don’t have a pressure cooker? Can you still can beans the usual way, with a large pot of water? Disclaimer: I am not a doctor, health professional of any kind, or nutritionist. I am not encouraging anyone to try this. I am simply relating my own experience. 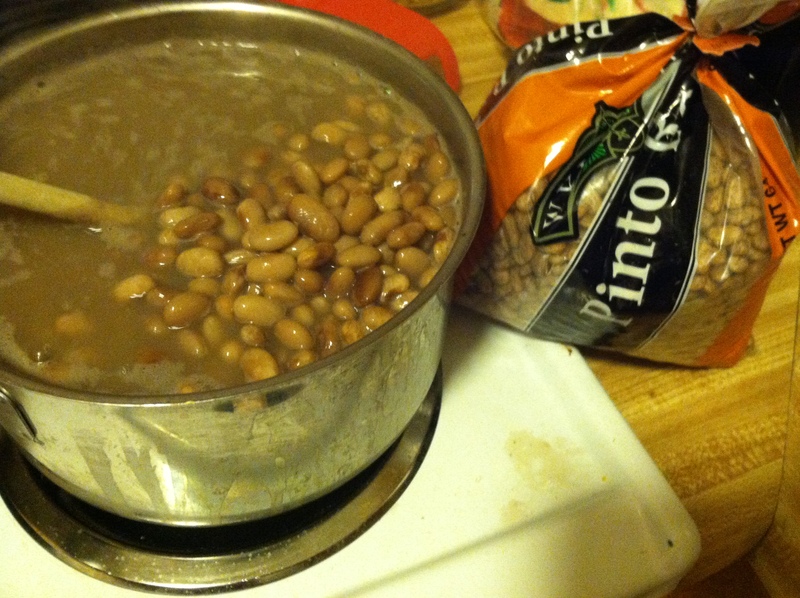 I had bought a 5 pound bag of pinto beans, but am bad at pre-planning my meals when I get busy. So I would want to make tacos for dinner or something, and be out of canned pintos. 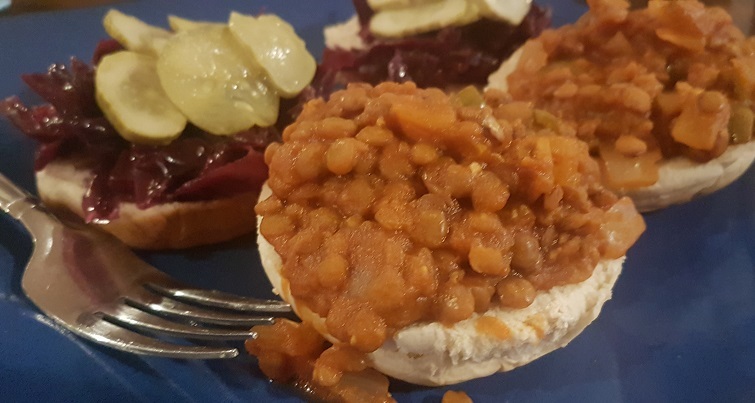 I had not soaked the beans, and wanted to eat within the next hour or two, so cooking up the dried ones was not really an option. 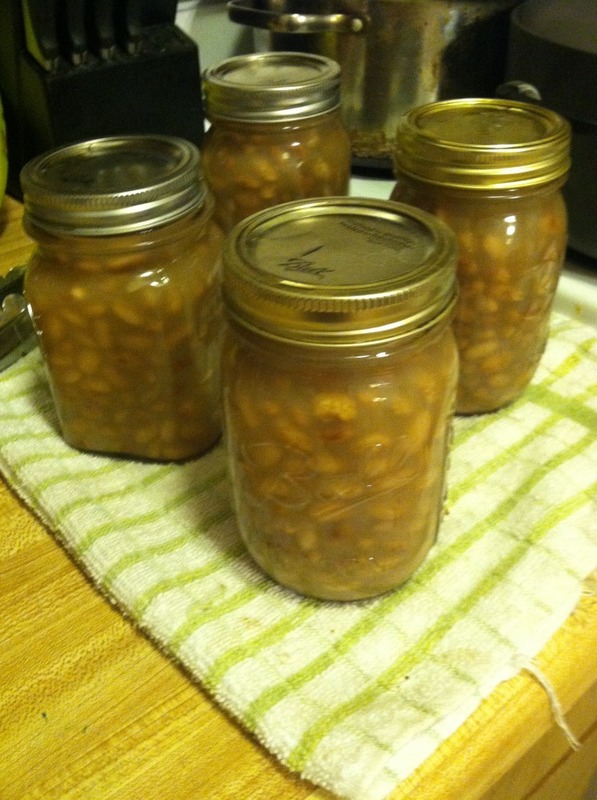 I decided to try canning some beans. I do not have a pressure cooker. The reasons I took the chance included: 1) I stored the processed cans in the refrigerator until I used them 2) I used all the cans within a month, presumably too short a time for anything too dangerous. 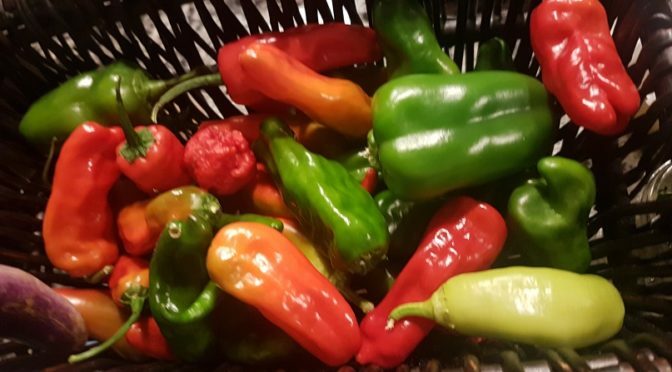 This site says there are several factors that contribute to growth, including salinity, acidity, moisture level, and temperature. Some strains of botulism cannot grow at low temperatures, while others are able to, if slowly. So, for science. Step 1: In a large pot, you can soak your beans overnight if you want. I just went ahead and cooked them. Cover the beans in water, bring to a boil, and simmer for 2-6 hours, depending on how soft you want your finished product and how much time you have. Add the salt and vinegar. Step 2: Either boil your jars and lids, or run through the dishwasher to sterilize. 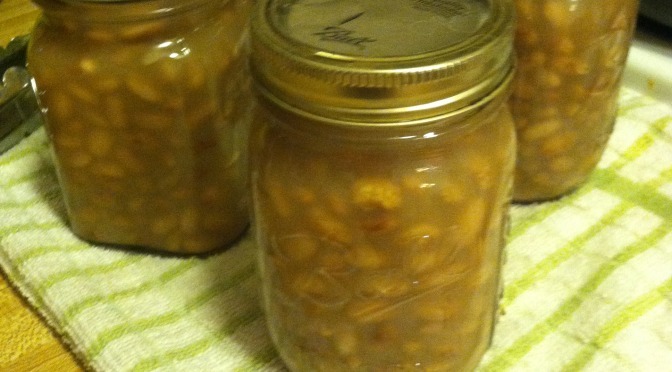 You will need about four pint jars for one pound of cooked beans. Step 3: Fill each jar up to the top, leaving 1-2 inches of space. Cover with the cooking liquid. You should have a faint scent of vinegar, and the liquid becomes cloudy after cooking the beans. Wipe the rim, seal, and place the entire jars in a large pot of rapidly boiling water. Process the jars for 45-60 minutes. 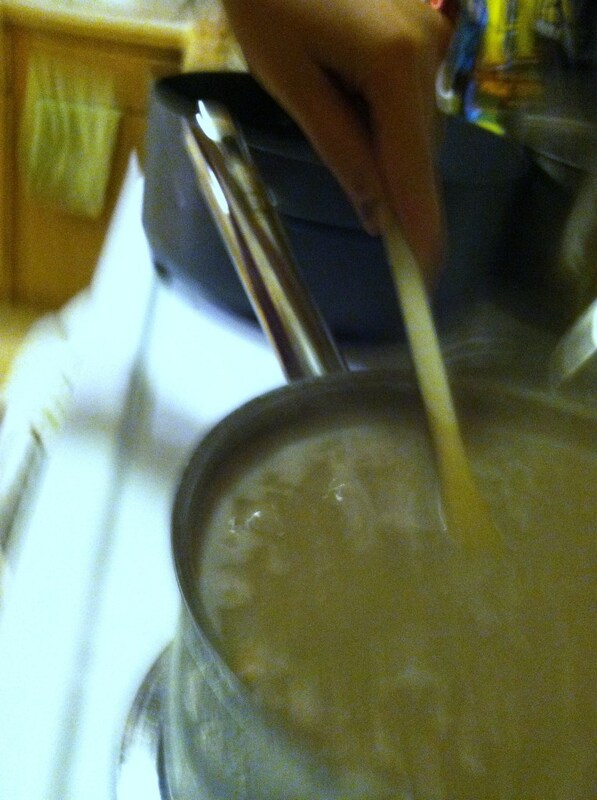 Step 4: Remove the jars from the hot water with tongs, and place on a towel on a solid surface. 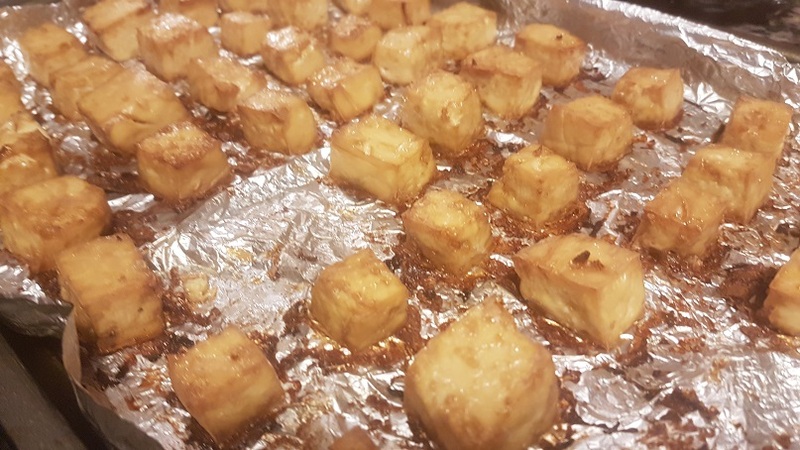 Let them cool without moving them for at least 6-8 hours. You should hear the “pop” of the lids sealing. If any do not seal, put in the fridge and use within a week. Now you have your own crazy-cheap supply of canned beans to turn into chilis, spreads, soups, or any number of recipes.